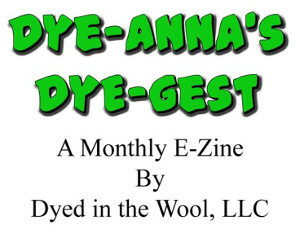 Leigh's Fiber Journal: New Loom = New Books. Right? Of course right. I've gotten quite a few excellent suggestions for books to add to my library. Some I've ordered, and others are still on my wish list. Here's what I've gotten so far. I've already mentioned this book, Tying Up The Countermarch Loom by Joanne Hall. Actually I wish I had gotten it when I first got the loom. It would have been a big help in setting it up for the first time. Even so, it has been invaluable in evaluating and adjusting the shed. That alone has been well worth the purchase price. Although written for Glimakra looms, this book is helpful for any countermarche loom. Chapters include explanations about both horizontal and vertical countermarches; Texsolv cords, heddles and ties; how to assemble the shafts; how to tie the apron rods, jacks, lamms, and treadles; threading, sleying and tying the warp; and of course, how to evaluate and adjust the shed. In the back of the book is a section on knots; a warp sett chart; a page on metric and English measures and weights; a reed chart; and a glossary. This book can be purchased directly from Glimakra USA, scroll about half way down the page. Peg recommended this next book to me. It is entitled Eight Shafts: A Place To Begin, by Wanda Jean Shelp and Carolyn Wostenberg. I know this may sound odd, but at this point, I am finding it difficult to think in terms of eight shafts. I think that like a lot of other things, this will come with experience, but to start, I need help. This book is it. Chapter 1 is entitled "A Common Language," and offers explanations of all the basic elements of understanding pattern drafts. It has the best definition of "unit" and "block" that I've read so far. Though most of the material in this chapter was review for me, applying this information to eight shafts has been very helpful. The rest of the chapters cover specific weave structures with a large selection of drafts for each of them. Included are several chapters on various twills (straight, point, extended point, and twills with breaks), color effects (color-&-weave and shadow weave), crackle, lace (Bronson, huck, and Atwater/Bronson), colonial weaves (twill overshot, even and uneven two tie, and summer & winter), and some miscellaneous weaves (twill blocks and warp faced). Each draft includes the threading, tie-up, and treadling. No drawdowns are included, but photos of the fabrics are offered instead. I first looked for this book on Amazon.com, but found a better price at Woodland Woolworks. Even though the shipping and handling was higher, it was still a better deal. The third book is still on order. It is A Weaver's Book of 8-Shaft Patterns by Carol Strickler. Quite a few people recommended this book so I couldn't resist getting it. I ordered this one from Amazon, on July 2nd. Unfortunately it won't be shipped until sometime between now and the middle of August! This last book isn't new, but in light of the discussion we've been having about different types of looms and how to adjust them, I can't help but mention it. Warping Your Loom & Tying On New Warps by Peggy Osterkamp is the second in her New Guide to Weaving Series. What I've been reading lately, is chapter 9, "Adjusting Looms." In it she explains how the three different types of looms work, and then goes into a lengthy discussion on how to evaluate and adjust jack, counterbalance, and countermarche looms. Very helpful! So much so, that I plan to put another warp on my Schacht Mighty Wolf jack loom and see what I can do to get a better shed and reduce some of the problems I've had with it. Other chapters include, "Beaming on a Plain Beam," "Threading the Loom and Sleying the Reed," "Tying On," "Tying Up the Treadles" (on both counterbalance and countermarche looms), "Weaving", "Sectional Beaming", "The Automatic Warp Tension System," "The Warping Drum," "Combining Sectional and Plain Beaming." "Two or More Warps," "Designing Random Stripes," and "Knots." This book can be found on Amazon.com, but again, Woodland Woolworks has the better price. I'd be very interested in more book suggestions on countermarche looms and 8-shaft weaving. What would you recommend as some of your favorites? You've sold me! Guess I'll have to order A Weaver's Book of 8-Shaft Patterns by Carol Strickler as I do plan to add 4H to my loom. Being delivered on Tuesday will be Tying Up The Countermarch Loom by Joanne Hall. Can't wait!! The third book you mention, Warping Your Loom & Tying On New Warps by Peggy Osterkamp, is a staple when I'm beaming on. I learn more from it every time I open it. Peggy Osterkamp's third book, Warping Your Loom & Tying on New Warps is a great one, also. After reading her book 2, I borrowed book 1 from our guild library. One day, I'll buy my own copy to complete this excellent reference set. I take it that your Mighty Wolf is a 4-harness. Weaving with 8H for the first time is daunting; I've tried it and failed! Another reason you deserve a big round of applause for the feat just accomplished! What's next (after going back to 'Wolf)? Amazon often does not discount so-called trade books. But sometimes Barnes and Noble will. Worth checking out next time you run into this. Your loom is huge! My friend Laura loves her countermarche because it provides such a huge shed. She would agree that you were smart to acquire this. Fun summer reading. I like the pictures and pattens in Carol Strickler's book and the information and drawings in Peggy Oterkamp's books. The information in these books is well worth the price. So much great information. Can I use the Tying Up book for my Cranbrook countermarche? Bobbie, it has great information for countermarche looms in general, but Glimakra specifically. Just understanding how CM looms work and tips for getting a good shed made it worth it to me.